Although lots of dark foods, such as berries and beets, are great for your health, you should definitely rinse out your mouth after eating them to keep them from staining your teeth. A set of pearly whites is a synonym of youth because teeth tend to lose their natural white tone as you age. However, there are a few foods that could cause yellow teeth even earlier on because they’re full of substances that stain your teeth and damage their white enamel coating. Tooth enamel is a substance that gives teeth their characteristic white color. The underlying layer, called dentine, is yellow in color. If the cause of your yellow teeth is the deterioration of your teeth’s white enamel, you should definitely talk to a dentist. 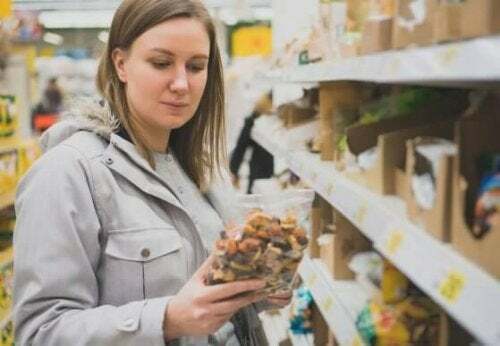 However, if your enamel is practically intact and you realize that your teeth are turning yellow because of the stains that certain foods leave behind, you may want to consider reducing your consumption of these foods. Do you know what foods cause yellow teeth? 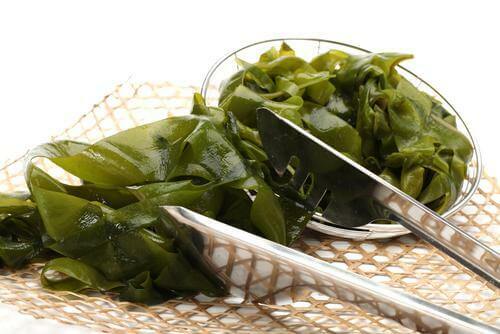 This is one of the foods that most often turn people’s teeth yellow due to its characteristic dark color. This is due to the fact that the external layer of teeth is very porous, allowing it to easily absorb this type of food and its color. Lots of people may think that tea causes less teeth staining than coffee, but some types of tea can make your teeth take on even more of a yellow color than coffee. Tea has a substance called tannin which is responsible for causing teeth stains. However, most teas have many health benefits, which is why you shouldn’t stop drinking tea because of its staining effect. The best thing you can do, in this case, is choose lighter colored teas or mix them with some milk. Dark sauces, like soy sauce, can also make your teeth turn yellow. This type of sauce may give your food a special flavor but you should only cook with it every now and then. The standard rule is that if a food can stain a carpet or clothing, it can also stain your teeth. We love tomato sauce when it comes to eating spaghetti or other dishes, but this is another food that can turn your teeth yellow. 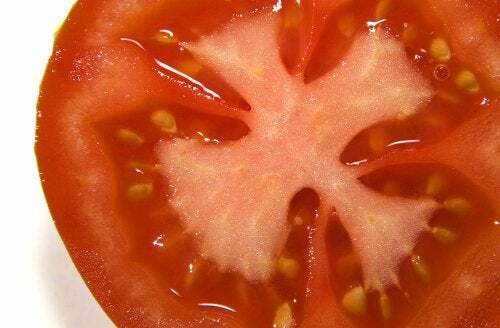 This is due to the high acid content in tomato sauce which provokes erosion and makes your teeth to look yellow. One trick that lots of people recommend to reduce the effects of tomato sauce is to first eat a bit of spinach or broccoli. Blueberries are one of the healthiest foods out there, thanks to their high antioxidant contents. However, their dark blue color can cause teeth stains that are very difficult to get rid of. Therefore, we recommend rinsing out your mouth very well immediately after eating blueberries. One great trick is to brush your teeth with a bit of baking soda and lemon after eating them. Anyone who has ever eaten beets knows that their intense color can also produce teeth stains, especially when you drink beet juice. 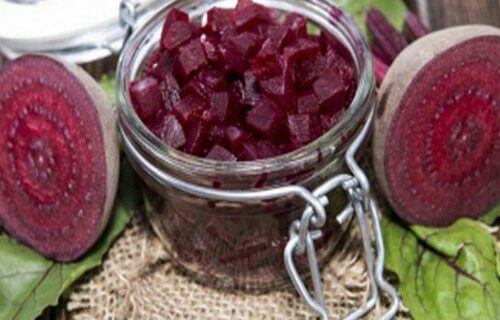 Since this food is really healthy, we suggest brushing your teeth after eating beets to keep your teeth from losing their whiteness. The red and yellow colors in powdered curry also cause yellow teeth. However, lots of people prefer to keep eating curry and enjoying the numerous benefits that this food offers. 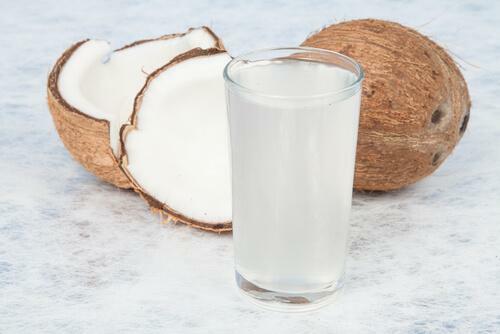 To reduce its negative effect on your teeth, we recommend rinsing out your mouth with water after eating. 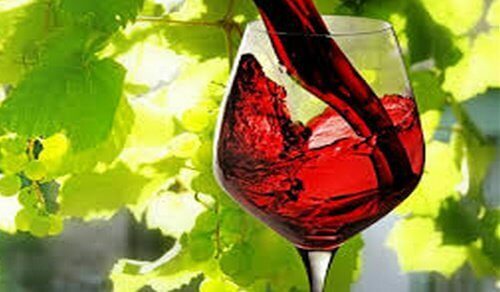 Red wine has antioxidants and other substances such as resveratrol, which is great for heart health. It prevents early aging, cancer, and other chronic diseases. However, it’s not so good for your teeth given its dark color, which can cause bothersome stains and that nasty yellow color. In any of the above-mentioned cases, you can reduce the effects by rinsing your mouth out immediately after eating. However, you should keep in mind that, in some cases, brushing your teeth after eating can make the problem worse. Some acidic foods can weaken your enamel for up to half an hour after eating them. Therefore, if you eat acidic foods, you should wait at least an hour before rinsing out your mouth. If your teeth have lost their normal whiteness as a result of consuming the above-mentioned foods, don’t worry! You don’t need to invest tons of money in whitening treatments that could end up having a negative effect. The following home remedies can help you whiten your teeth naturally and get rid of those hated yellow stains. Apple cider vinegar is a very efficient ingredient when it comes to whitening your teeth. However, you should be very careful when using it because, since it’s an acidic product, it can damage your enamel. We recommend dissolving two tablespoons of apple cider vinegar in a glass of water and rinsing it around your mouth very well before brushing your teeth as you normally would. Apples are powerful teeth detergents perfect for getting that white color back. Foods like cauliflower and celery have a similar effect. Just rub them on your teeth from time to time to get rid of yellow stains. Hydrogen peroxide is a very powerful natural whitening agent that can help you get back your teeth’s natural white color. You can use it as a mouthwash to take advantage of its benefits. Just swish it around your mouth for 30 seconds before brushing as usual. Another option is to mix equal parts of hydrogen peroxide with baking soda to make a powerful teeth whitener. This will help you whiten your teeth in a short amount of time while cleaning them and killing bacteria that could affect your oral health. 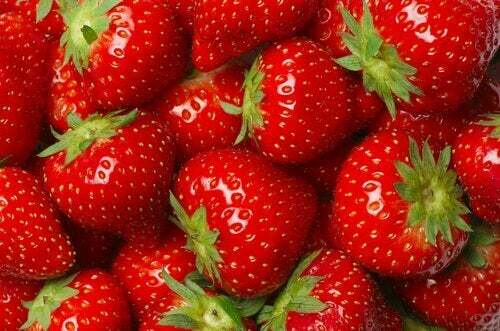 Strawberries have a whitening effect when applied directly to yellow teeth. 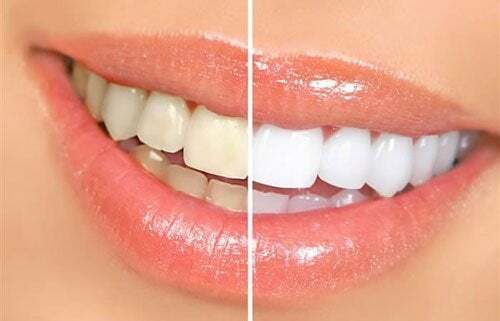 If you want a safe and cheap way to whiten your teeth, don’t hesitate to try out this remedy. You just have to process six strawberries in a blender until you have a paste and then apply this directly to your teeth with a soft toothbrush. Leave it sit for a few minutes and then rinse well with a mixture of baking soda and water. Lemon juice has been used for ages as a powerful natural skin and teeth whitener. In this case, we’re going to mix the juice of one lemon with a teaspoon of salt to do a deep teeth cleaning and stimulate the whitening process. You should be very careful when doing this treatment. This natural whitening remedy is not very well known, but anyone who has tried it knows that it’s very effective. All you have to do is blend the orange peel with a few bay leaves and then apply this mixture to your teeth with a toothbrush. Leave on for a few minutes before rinsing. Baking soda is one of the most famous and effective products when it comes to whitening your teeth. In fact, some kinds of toothpaste include it as one of their main ingredients. 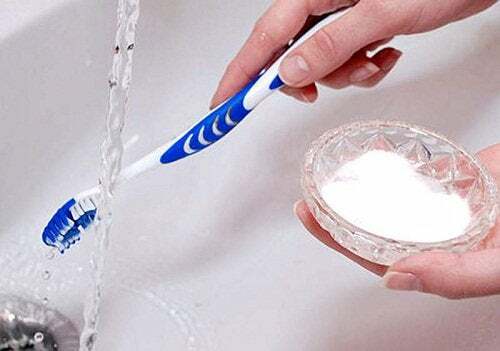 At home, you can use this product by applying it directly to your teeth with a toothbrush. Sage tea has been used by Eastern cultures for some time due to its medicinal properties and its intense ability to naturally whiten teeth. 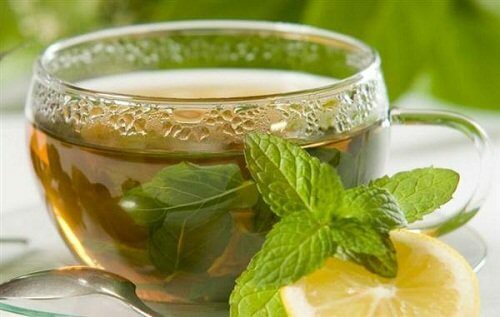 To do this treatment, just prepare a cup of sage tea and use it as mouthwash every day. Another option is to rub sage leaves directly on your teeth and gums. Lots of people throw out banana peels without realizing that this supposed waste product is a great tool for naturally whitening your teeth. If you want a whiter, more perfect smile, just cut a few slices of banana peel and rub the inside part on your teeth with them. Let the banana residue set for about 5 minutes and then rinse as usual. These homemade remedies may be effective at naturally whitening your teeth, but the results are not immediate. You should choose the remedy that seems most convenient to you and apply it frequently until you see the desired results.